Excitement is building at the SCP office as we patiently wait for the new album Marina & the Diamonds album Electra Heart as it is predicted to one of the most exciting pop releases of 2012. Working with a close group of collaborators to write and produce with including Dr Luke (Katy Perry), Rick Nowels (Madonna), Liam Howe (Sneaker Pimps) and Greg Kurstin, the album will feature 12 brand new self-written tracks. 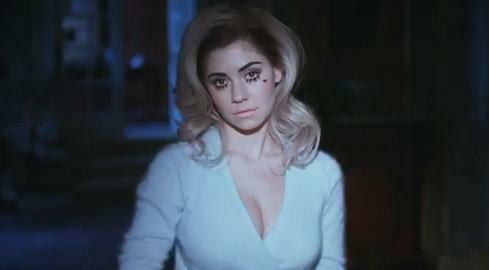 New single Primadonna was released last week, and is a fast paced, fun disco pop anthem. Produced by Dr Luke, it features strong, punchy electro beats alongside Marina’s distinguished vocal of entertaining tongue-in-cheek lyrics. Electra Heart is a blisteringly honest story of identity, love, rejection, doomed romance and hope all tinged with humour and British eccentricity. Check out the album preview below as we patiently wait by the letter box for our copy to be delivered..!